A brand-new trailer for Pokémon: Let’s Go, Pikachu! and Let’s Go, Eevee! dropped this morning to cover the pair’s new features. 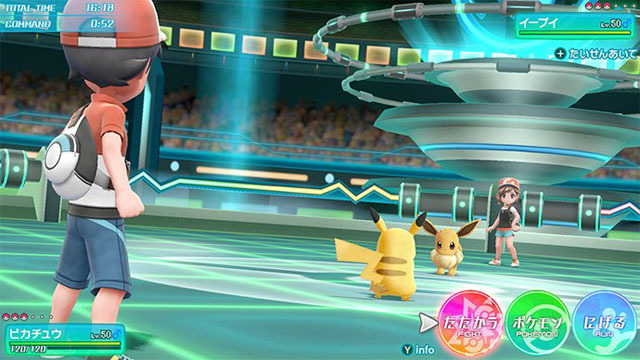 While much of the footage reinforced previously-known information, some new content was disclosed such as customizable outfits, version exclusives, and the return of Gym Leader Misty. On top of your partner Pokémon Pikachu and Eevee (depending) being able to wear costumes, your trainer will be able to dress up as well. Pikachu and Eevee can also be given hairstyles from a variety of pre-sets. However, your trainer outfit must match that of your starter. Gender differences were confirmed for the pair of starters, with female Pikachu having its usual heart-shaped tail and female Eevees now sporting a heart-shaped pattern on its tail. Pewter City Gym Leader Brock was seen at E3 2018, and now Cerulean City’s Misty and her Gym were spotted for the first time, confirming her return to Let’s Go. As is tradition for the Pokémon series, both Let’s Go games will have their own version-exclusive Pokémon. Let’s Go, Pikachu! 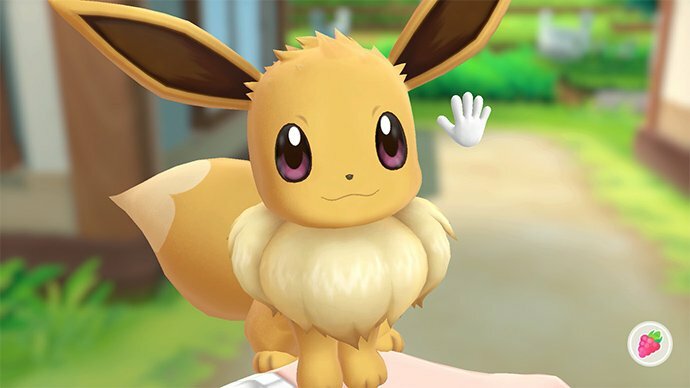 was so far confirmed to have the Oddish, Sandshrew, and Growlithe evolutionary lines to itself, while Let’s Go, Eevee! exclusively has the Bellsprout, Meowth, and Vulpix lines. Players will be able to trade locally and online to complete their Pokédexes, and online features will require a paid Nintendo Switch Online Account. As Pokémon is international, several unique Japanese trailers were released as well, with some unique scenes of their own not seen in international trailers or slightly different spins on the same content. On top of the general features trailer, small clips of a trainer battle and wild Pidgey encounter were also shown. 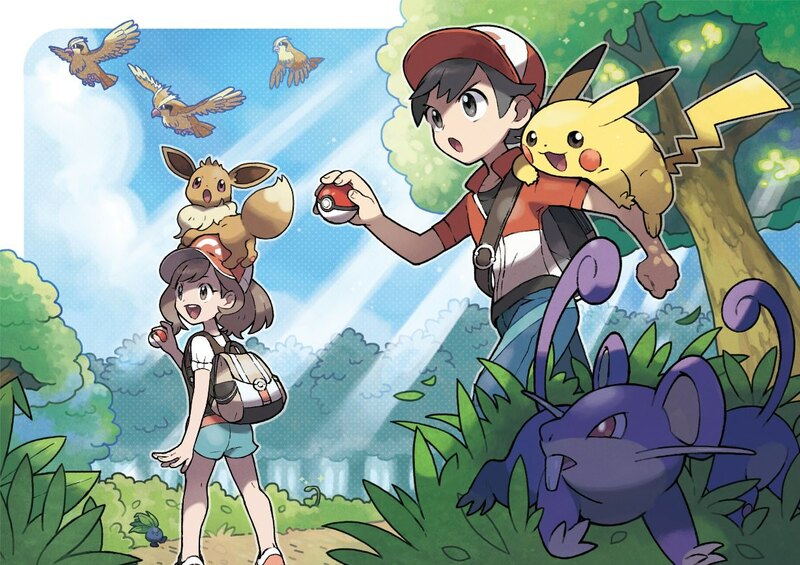 For long-time fans, the wild encounter theme in Let’s Go, Pikachu! and Let’s Go, Eevee! is brand-new and differs from the classic Kanto encounter music you’re used to. Announced back in May 2018, Pokémon: Let’s Go, Pikachu! and Let’s Go, Eevee! mark the first mainline Pokémon games to launch on a home console. These two pseudo-remakes of Pokémon Yellow launch on Nintendo Switch worldwide on November 16th, 2018. The Let’s Go games notably feature capture mechanics inspired by the mobile game sensation Pokémon GO. The Pokéball Plus controller will also launch alongside the pair as the only way to bring the Mythical Mew into your roster. nintendo switchPokémon Let's Go Eevee!Pokémon Let's Go Pikachu!